Aurora Hentunen is a young diverse Finnish pianist and composer, who is currently living in Amsterdam. Aurora Hentunen’s music draws inspiration from both Nordic jazz and folk music. 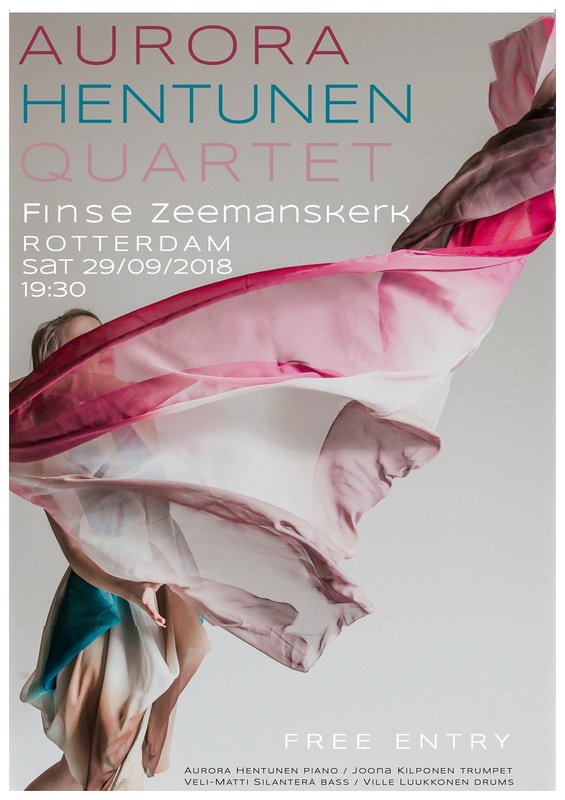 She assembled her quartet at the beginning of 2017 consisting of talented Finnish musicians with performance experience in cities from Helsinki to Amsterdam to New York. Aurora Hentunen’s debut album Second Spring was released in April 2018. The music has been described as very compositional and the band is distinctive, led by mature young musicians. The band is considered as one of the rising stars in the Northern Jazz scene.